Jesus' great love was shown for us by His loving sacrifice on the cross. The heart and cross point to God's everlasting, eternal love. 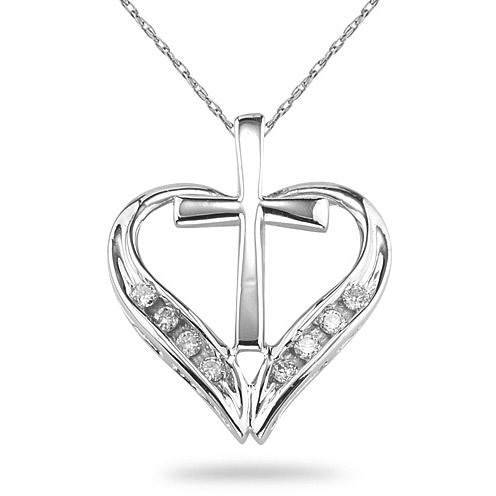 We guarantee our Cross and Heart Diamond Pendant, 14K White Gold to be high quality, authentic jewelry, as described above.